JCI Runner Up, Mayo Style Awards Winner! Hello and a very good afternoon to you all! 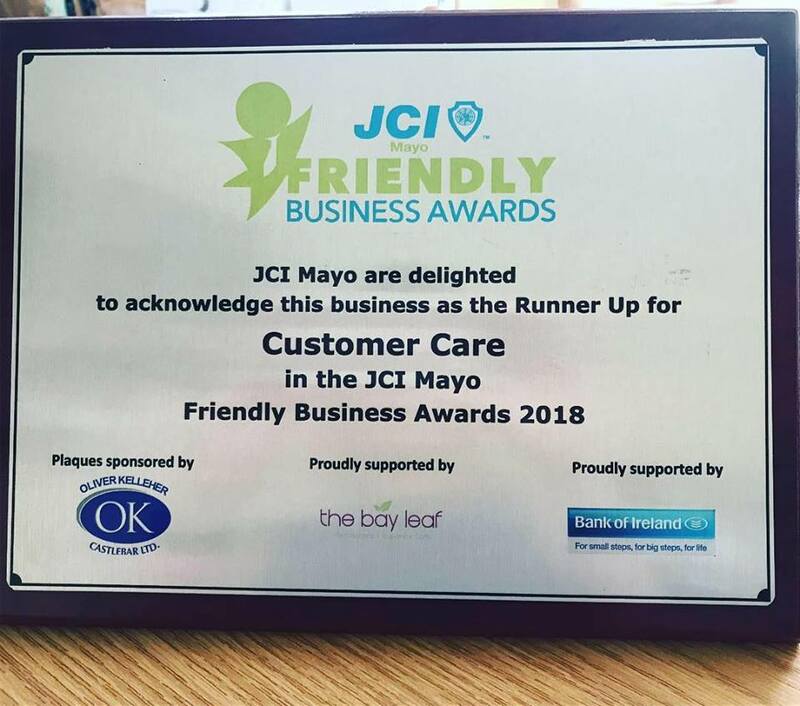 Following up from my last blog post, I am delighted to let you all know that on 28th August, I was awarded the Runner Up in the JCI Mayo Friendly Business Awards 2018 in the Customer Care category. 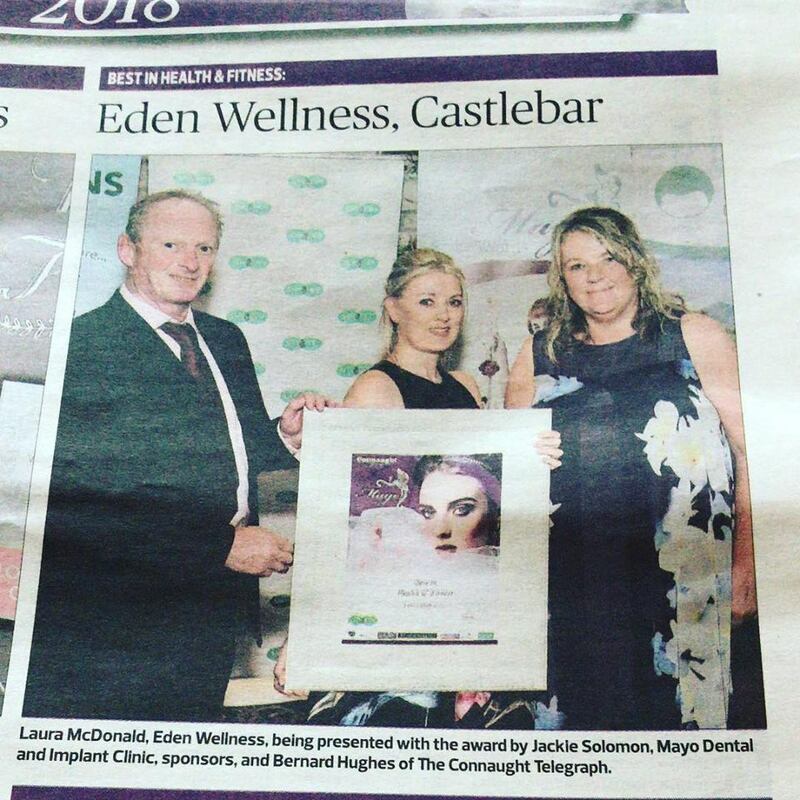 This is a fantastic boost for Eden Wellness, especially as it is based on being 'secret shopped'. 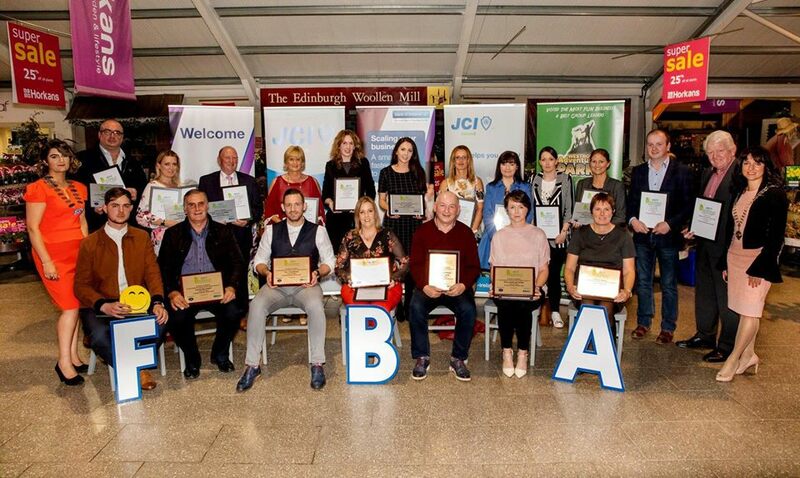 A lovely evening was had by all, and I would like to congratulate all the category Winners who went to the National Awards on the 12th October. 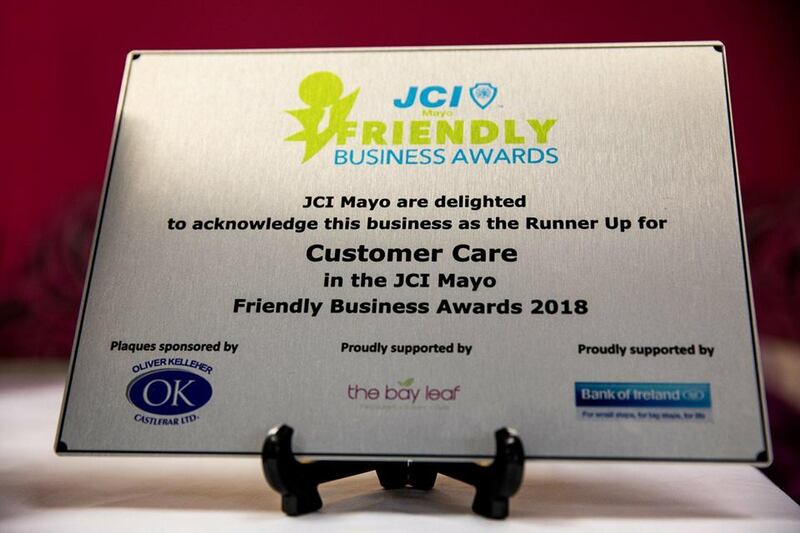 More details can be found on the JCI Mayo website. 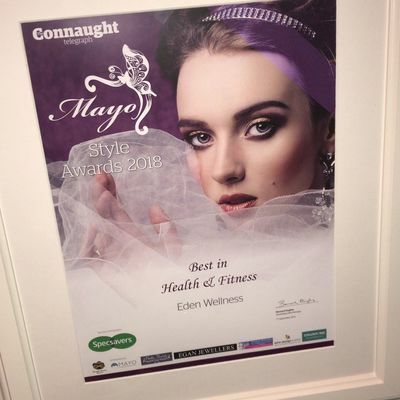 Following on from the JCI Mayo Friendly Business Awards, I was honoured to be awarded WINNER in the Health and Fitness Category on 7th September at the Mayo Style Awards - I was happy enough to be selected as a Finalist, so this was a real surprise! A fantastic night was had by all at Breaffy House Hotel, followed by great coverage of the event in the Connaught Telegraph Newspaper. 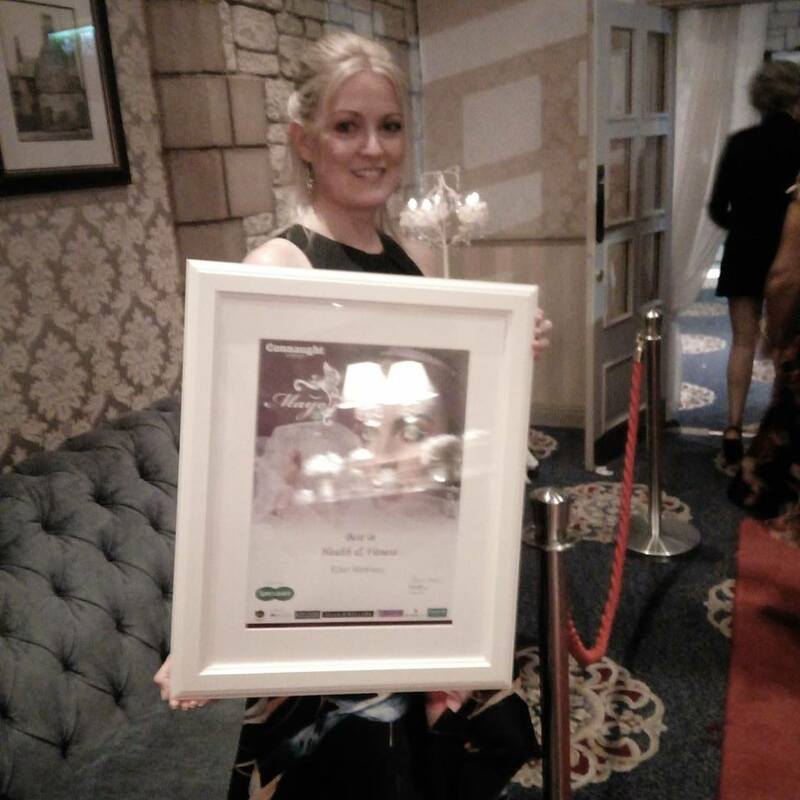 I am coming up to my 14th anniversary as a Clinical Hypnotherapist - I celebrate every 4th December to remember the day I was awarded my first Diploma in Hypnotherapy. As you may be aware, we are required to carry out a number of Continuous Professional Development hours per year. This year, I have studied Sports Psychology, BWRT Deep Mind Protocol, Defusing Depression, Relationship Repair, Ageing Unplugged, and am in the middle of an ITEC Personal Trainer Diploma course with Evolution Institute which is absolutely fantastic! I am enjoying every moment of it. I am already looking forward to whatever it is I will choose to study in 2019 - there's a world of information and learning out there. In September, I started teaching my third Hypnotherapy Professional Practitioner Diploma at my training school, EICH Ireland. Students are loving the course content - as usual - and I am thoroughly enjoying teaching. As usual, the time is flying; I am already preparing notes for Module 3, which focuses on Stress and Anxiety - something we are sadly all too familiar with. Thankfully, this module teaches many coping mechanisms as well as teaching where stress and anxiety come from and why they are there. I am already welcoming applications for the next course, starting September 2019, one weekend a month for 10 months. Upon successful completion, you will gain two diplomas; one in Hypnotherapy with Psychotherapy, and one in Hypnoanalysis. Feel free to visit the website or email me for an application form. 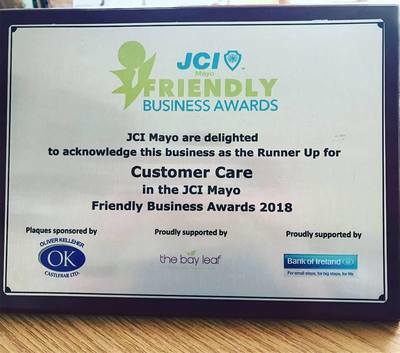 EICH Ireland was shortlisted as a finalist in the aforementioned JCI Mayo Friendly Business Awards, and it is recognised by leading hypnotherapy and psychotherapy registers across the UK and Ireland - visit the accreditation page here to read more. Until next time, have a lovely weekend all, whatever it is you're up to. I'll be heading to The Movement in Castlebar for week 7 of our Diploma in Personal Training with Evolution Fitness Institute! 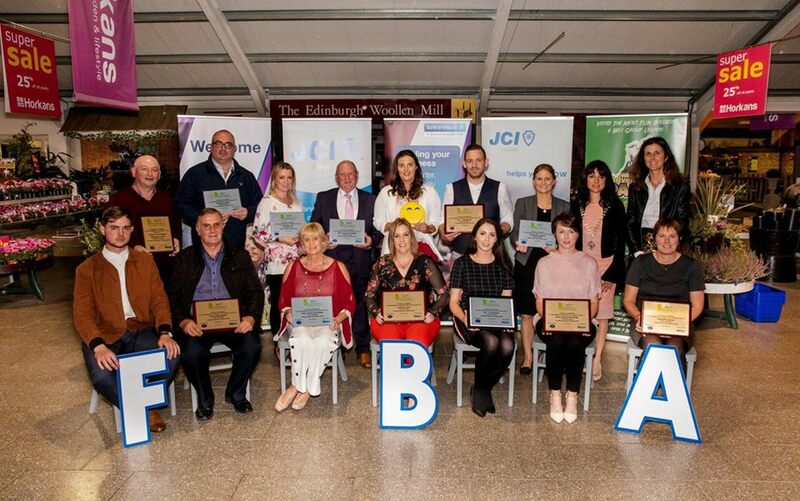 ​I am delighted to let you know that Eden Wellness has been nominated for TWO business awards - one is the JCI Mayo Friendly Business Awards, and the other is the Mayo Style Awards, under the Health and Fitness category. If you'd like to vote for us to WIN, please text HEALTH3 to 57252 @ €2 per text - it would be so greatly appreciated! You can read more about the events by clicking on the images. I am also happy to inform you that in September, I am starting a Diploma course in Personal Training with Evolution Fitness. 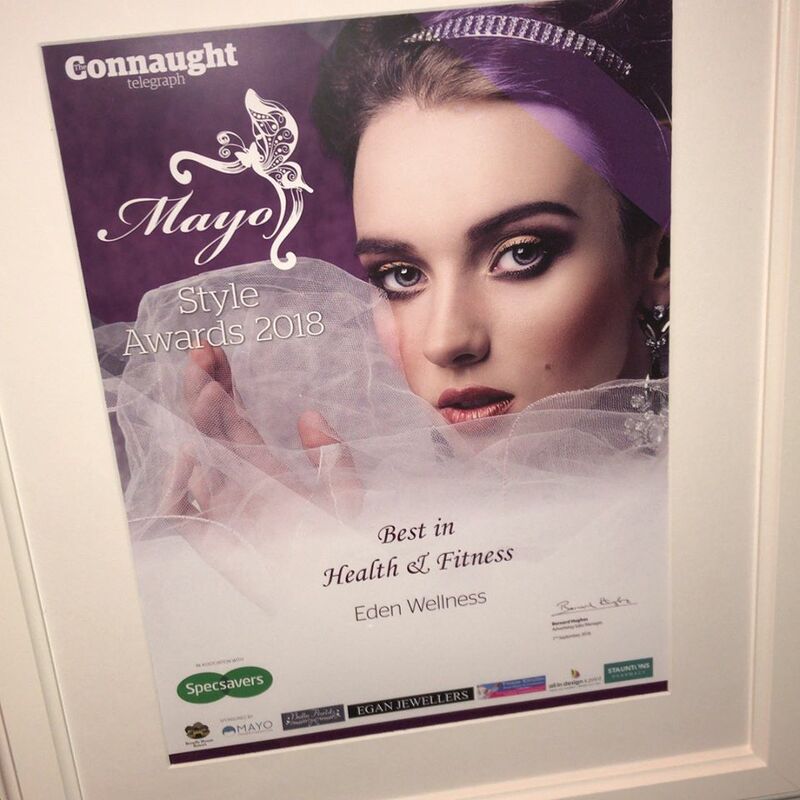 I am so looking forward to it as fitness has always been an important part of my life - and this way I will be better able to help clients who come to me for sports performance and motivation, or those who wish to manage their weight. The course also incorporates an ITEC Award in Nutrition, and this will be wonderful, as fitness and nutrition is so personalised for each individual. I feel this way, not only will I be able to work with the MINDSETS of my clients as I currently do, I will also be able to help them plan ideal food diaries and exercise plans. Due to this, my hours of practice will be changing and Saturdays will not be available again until January, 2019. I will have appointments available on Tuesdays, Wednesdays, Thursdays and Fridays. 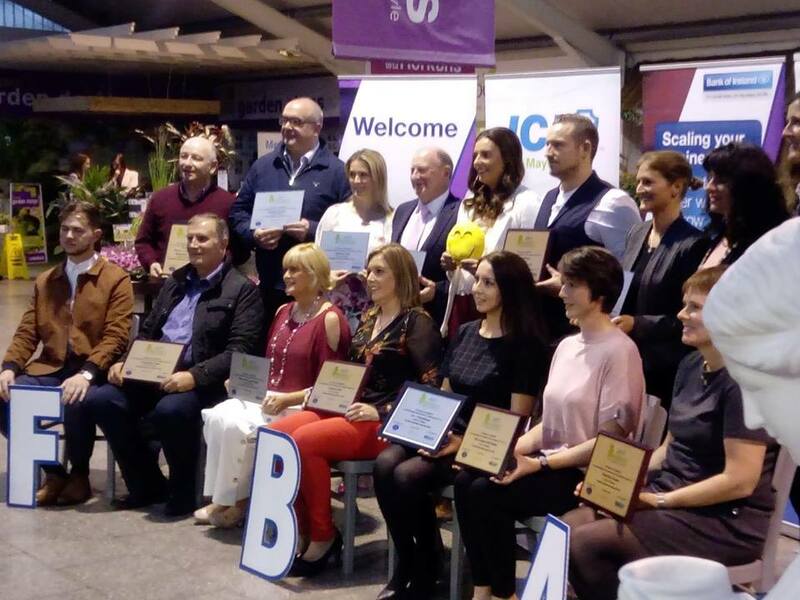 There is now just a month left until the next EICH Ireland Professional Practitioner Diploma course starts in Castlebar, Co Mayo, and there are currently 4 spaces left. If you would like to join us on a journey of self-discovery, transformation, understanding of people and the workings of the mind, please get in touch or enrol today, as usually, the course fills up all at once around this time. You will learn everything you need to know about setting up as a professional clinical hypnotherapist and will be able to start working as a self-employed practitioner. Visit the website to find more details about the modules, fees, past students, FAQs and so much more. I have scheduled the second ever Ireland based BWRT Level 1 training to take place in Castlebar, Co. Mayo on the weekend of 25th and 26th August and there are still places available. This training is open to all mind-based therapists, doctors, hypnotherapists, psychologists and so on. You can read more about the training here and more about BWRT over on the official websites, BWRT, and BBRS. I think that is all for today - I will keep you informed on the Awards and will post lost of pictures! Thank you again to all who voted for me. Have a great week! This book, Nightlights, has been around for a while now, but it is probably my favourite to read to my children. My Mum bought it for me years ago when I had my first child, and I still use it today, both with my own, and with young clients, and I recommend it to all parents. It is full of gorgeous stories that have messages hidden in them to build confidence, self-esteem, and self-worth in little ones. 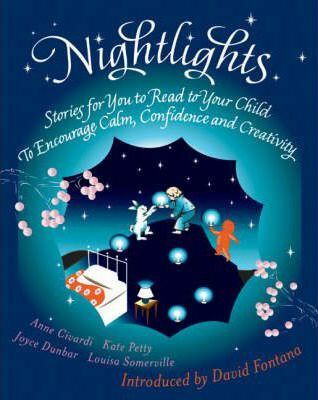 'Specially written to calm and relax your child at bedtime, while at the same time engaging and stimulating his or her imagination. These stories also help children in many other important ways. They help them to focus their minds and develop their powers of concentration and visualization, as well as learn more about emotions and feelings. Although not meditations in the strict sense, they do serve as a good preparation for learning real meditation later on.' It's currently available at 19% off (€12.05) in the Book Depository. BWRT in the Daily Mail! 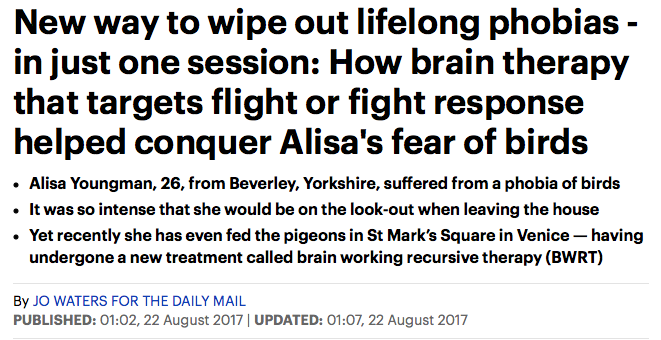 You can read about BWRT in today's Daily Mail, either online or in print, by following this link. Well done to fellow therapist, Bob Bees, and of course, BWRT creator, Terence Watts! If you're a therapist interested in training in BWRT, I offer the only Ireland-based training, and ran the first course in June, 2017. Please get in touch if you'd like more information and to be kept informed about the next available training which will be based in Castlebar, Co Mayo. It has been a very busy Summer here at Eden Wellness, with all our appointments booked out each weekend and a waiting list of people wishing for help with Hypnotherapy or BWRT. 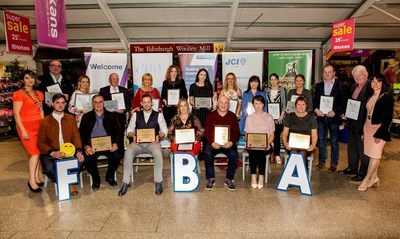 We're also busy preparing for our next Hypnotherapy Practitioner Training course, EICH Ireland, which I run one weekend a month for a total of 10 months, in Castlebar, Co.Mayo. My previous students just found out that they ALL passed their final exam - I don't know who was more proud; me, or them. We're holding our graduation in September, so keep checking in to see photos of the evening, where I'll be presenting the graduates with their TWO diplomas. 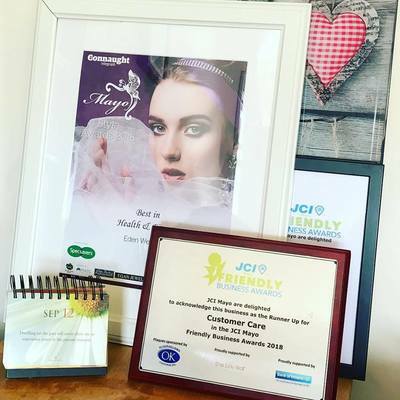 They are now qualified clinical hypnotherapists and are available for appointments to help with smoking cessation, stress, anxiety, fears, phobias and more and you can find their details here. If you are interested in training as a hypnotherapist yourself, you can find out information and apply here! 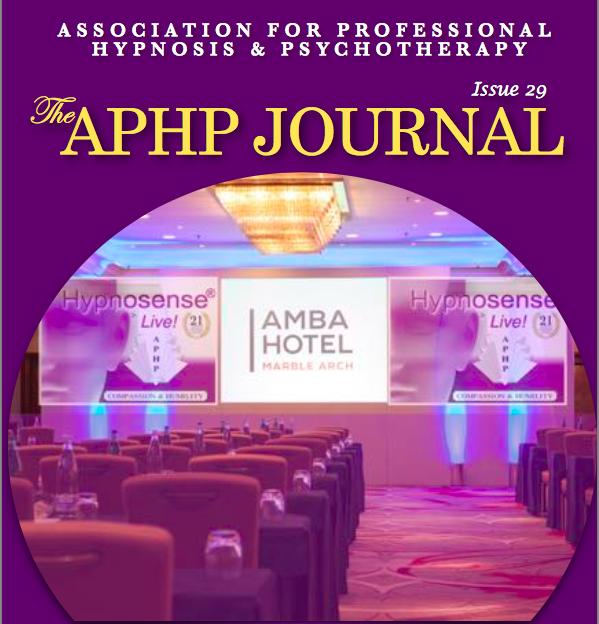 I was happy to contribute to the latest edition (August 2017) of the Association for Professional Hypnosis and Psychotherapy Journal - I took part in their Q&A section of the magazine. The APHP is a professional body whose members show that they meet certain criteria governing their training, expertise, insurance, supervision and Continual Professional Development. ​Well it’s been a busy few months here as I embark on a couple of new projects! As many of you are aware, I trained as a BWRT® practitioner a couple of years ago, and the therapy is so successful I have dedicated a separate website to it, as it is completely different to hypnosis. So, as well as Eden Wellness, I now run BWRT® Ireland, offering appointments in the same health centre, and also over the phone and via Skype. As BWRT® can be offered in this way, my hours of operation are spread throughout the week, held mostly in the evenings. In May, I attended a Reiki I workshop, which I absolutely loved. I followed it up with Reiki II last weekend, and am in the process of practicing, organising and getting ready to offer it as part of Eden Wellness’ treatments. I did my training with the brilliant Anam Nasca, at Atlantis, Castlebar. But, the main thing I have been focussing on lately is setting up my very own Hypnotherapy training school, EICH Ireland. I have now set dates for a Professional Practitioner Course, which will take students from complete beginners to completely ready to set up their very own Hypnotherapy businesses. I am very excited about this new venture and hope that you will be too! The course is very well known, as it has been taught in the UK since 1999 at the Essex Institute. It is taught in other countries around the world, but this is the first time it will be available in Ireland. Written by Terence Watts, UK professional therapist (also creator of BWRT® amongst many other therapeutic techniques), The Professional Practitioner Course starts in September 2016 and is being held in the beautiful Breaffy House Resort, Castlebar. Spread over the course of 10 months (one weekend per month), it is ideal if you have work and family commitments, and the weekends will be wonderful journeys of self-discovery, growth and empowerment as well as educational. 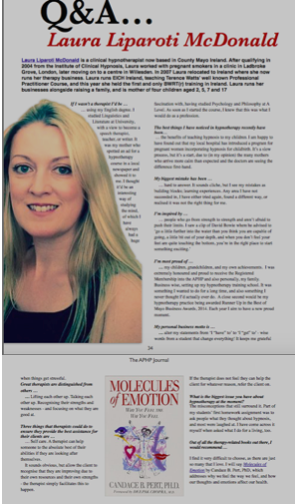 My own journey toward hypnotherapy started a few years ago. I had always been interested in the workings of the mind, and studied Psychology A-Level before going on to study it at Kingston University, along with History of Ideas. My path changed for a while when I went to study Linguistics and English Literature at Hertfordshire University, but I still felt there was something else I should be studying. In 2004, I took up a foundation course in hypnotherapy to get a deeper understanding of the workings of the mind, and was instantly hooked. I then signed up to the Professional Practitioner course, then the Advanced Professional course, and haven’t stopped since! Hypnotherapy can give you a greater understanding into your own mind and the reasons you feel and think the way you do. It can provide you with tools to enhance your potential, stop unwanted behaviours, increase confidence, clear negative emotions, to name just a few things. Practicing as a therapist is hugely rewarding, as you empower clients to recognise their own strengths and qualities. After you qualify, you will probably be drawn to studying the subject in a much greater depth, or to explore other areas entirely. You will be entering a new world of growth, learning and personal development which, I have no doubt, you will just love. As a hypnotherapist, you will be able to work for yourself, choosing hours that suit you, so you can work around your family, or alongside an existing job. You can choose what areas you would like to work in, perhaps deciding to specialise in particular subjects. Overall, whether you choose to continue your hypnotherapy path after qualifying is up to you, but you will have a valuable tool for life, which you can use daily for yourself and for your family. You will be able to train your mind to think in a way you would prefer to think, you will be able to choose your thoughts carefully, and you will be far more mindful as to how every action you take, every thought you think, and every word you speak, all have a profound effect on your life. ​Find out more by visiting EICH Ireland, or send an email. December – a time when many of us sit back and reflect on what the year has brought us – whether it’s challenges we have overcome, goals we have reached, or trials that have made us stronger. Whatever it may be, we often put pressure on ourselves to be better, do well, achieve more, and if when February or March comes we have not stuck to those goals, we will probably engage in harsh self-talk, believing we have not got the year off to a good start, and that this has set the stage for the rest of the year. This time, why not just promise yourself that you will take each day as it comes, and that no matter what each day holds, you make a promise to only allow positive self-talk when you go to sleep each night, and talk to yourself the way we would to your best friend? This will be far more encouraging than telling yourself you've failed in any way, and it’ll be far more likely to result in happier reflections this time next year! Hypnosis – or in this case, self-hypnosis – is a great way to make sure you stick to this wonderful habit. By repeatedly saying positive things to yourself instead of beating yourself up, you will begin to feel differently. Then, you'll start to behave differently. You'll feel differently. You'll put less pressure on ourselves and will feel happier with whatever your days entail. A simple daily habit that is easy and effortless – and all it really is, is a reversal of what many of us usually do (think negatively). If you have habits, traits or behaviours you’d like to stop, give it a try. Whether it’s giving up smoking, losing weight, getting rid of years of negative emotional energies, increasing confidence and self-esteem, or for a chat about anything else, get in touch and I’ll do my best to help you achieve it - while being kind to yourself every step of the way. Make 2016 your year, without the added pressure. Be kind to yourself, praise yourself when you do well, recognise exactly what doing well is, and be your own best friend. It will make a huge difference to your life. I hold appointments in Kachina, Castlebar, every Saturday.